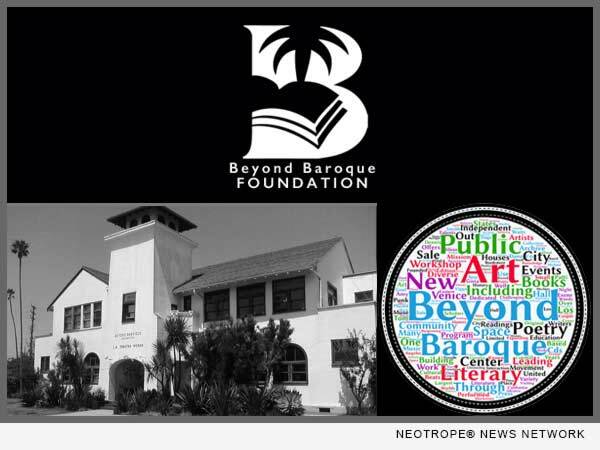 VENICE, Calif. /California Newswire/ — Beyond Baroque, one of the nation’s leading independent Literary Arts Centers, is planning a year-long celebration of its 50th anniversary in 2018. Guided by the nonprofit’s Executive Director, Richard Modiano, and council of prominent artist-curators, a program of activities commencing January 1, 2018, will take place at Beyond Baroque’s Venice location and in venues throughout Los Angeles. • The commissioning of new works for performance and publication from major writers and rising stars in fiction, poetry, and non-fiction. • A series of public dialogs between poets and prominent artists, performers, community leaders, and thinkers on the intersection of poetry and culture. • The selection of diverse guest curators to organize a major festival of multidisciplinary artistic events and community gatherings at Beyond Baroque and in neighborhoods all over Los Angeles, spotlighting the many literary and artistic communities that make LA one of the world’s richest cultural centers. • Appearances and performances by prominent Beyond Baroque alumni and friends. The Center’s busy calendar of events will showcase Beyond Baroque’s extensive roster of talent as well as exciting new voices drawn from Los Angeles’ diverse literary communities. The celebrations will be highlighted by Beyond Baroque’s 50th anniversary gala in November 2018, at which honors will be awarded recognizing the achievements of selected poets, writers and artists. Few literary spaces have done more to cultivate innovative art from cultural outsiders, or to shape emerging artistic movements. Across five decades Beyond Baroque has nurtured the Venice Beats, cradled the Los Angeles punk scene, and provided crucial support to a series of seminal experimental writers and artists that include Dennis Cooper, Kate Braverman, Mike Kelley, and Will Alexander. Its legendary free workshops have profoundly shaped Los Angeles literature by helping to launch a number of influential careers, including those of Wanda Coleman, Tom Waits, Leland Hickman, Bob Flanagan, Eloise Klein Healy, David Trinidad, Jim Krusoe, Exene Cervenkova, Amy Gerstler, Paul Vangelisti, Harry Northup, Brendan Constantine, Jenny Factor, and Sarah Maclay. It’s reading and performance series have exposed L.A. audiences to some of the world’s most notable writers and artists, often at early stages in their careers, including Allen Ginsberg, Amiri Baraka, Raymond Carver, X, Patti Smith, Viggo Mortensen, Michael Ondaatje, Chris Kraus, Eileen Myles, Luis J. Rodriguez, Dana Gioia, Hector Tobar, David St. John, Robin Coste Lewis, and Maggie Nelson. Today the Center continues to provide a vital cultural forum through its free workshops, reading series, youth programming, and artistic gatherings. Learn more at: http://www.beyondbaroque.org/. Beyond Baroque’s mission is to encourage the writing, reading, publication, dissemination, and preservation of contemporary literature through programming, education, archiving, and services in literature and the arts. Beyond Baroque Literary Arts Center, 681 Venice Blvd, Venice, CA 90291. Phone: (310) 822-3006.